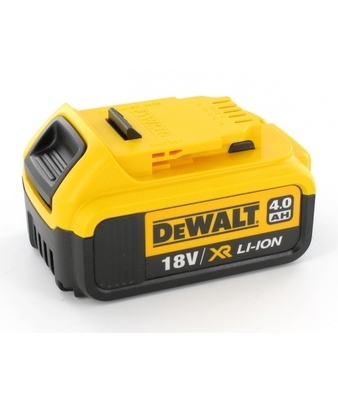 The Dewalt DCB182 4.0Ah XR Battery is a fantastic slide-on 18v Li-Ion option for Dewalt cordless tools that'll provide an extended runtime with all site conditions. The DCB182 is compatible with all XR tools and offers a 33% increased performance over the 3.0Ah equivalent. Dewalt batteries are renowned for having no memory effect and minimal discharge to guarantee maximum performance. Comes fitted with an LED indicator to maximise the full battery usage.